The Rave Application iNterface Technology (RANT) specification outlines how you can create your own custom components, property editors, component editors and project wizards. 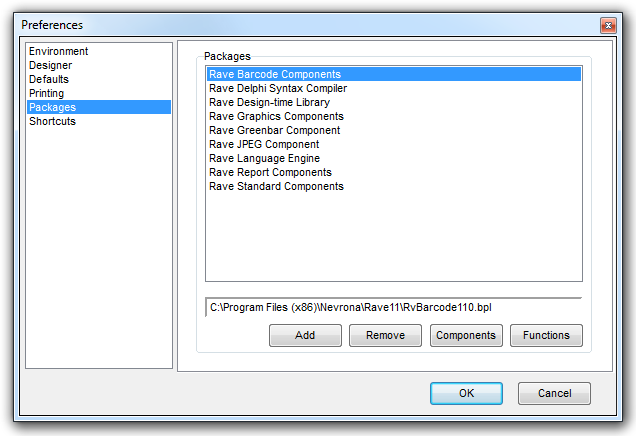 You can see Rave's Preferences dialog below listing all of the standard Rave component packages. Using Delphi, you can create new packages and dynamically install them into Rave just like you do with Delphi or C++Builder. To see an example of the RANT Specification, click here.